WATFORD welcome Arsenal to Vicarage Road for Monday Night Football. Mark O'Haire (@MarkOHaire) previews the encounter, picking out his best bets. Watford’s memorable comeback in last weekend’s FA Cup semi-final success over Wolves will live long in the memory for Hornets supporters. Javi Gracia’s group have had over a week to get the celebrations out of their system and I expect the Hertfordshire giants to be sufficiently recovered and refocused for Monday night’s match. 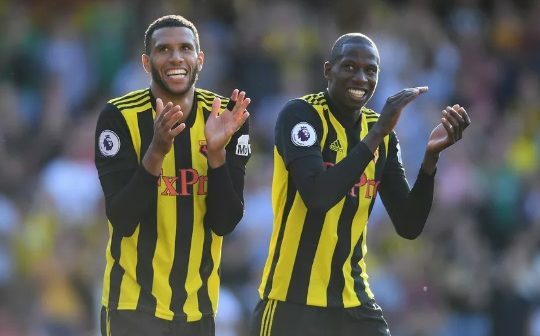 With the FA Cup final over a month away, there’s plenty of opportunity for players to impress and confirm their place in Watford’s starting XI at Wembley. So in the short-term at least, I’m not anticipating any sort of comedown, sweeping changes or downing of tools from the Hornets. The hosts have enjoyed a successful campaign. Tipped for a relegation battle by many, Gracia’s enhanced his reputation by guiding his side into the top-half, built largely on their excellent record against non-Big Six sides. Watford have suffered only three defeats in 22 against the best of the rest, compared to a W1-D0-L9 return against the league’s elite. But the second part of the above paragraph does the Hornets a disservice. The Golden Boys have been competitive, particularly at Vicarage Road, when entertaining the Big Six; Spurs have been beaten, whilst Liverpool, Chelsea and Manchester United escaped with wins by one-goal margins. The home side have the ability, physicality and system to ruffle feathers. In fact, Watford have found the back of the net in seven of their 10 showdowns with the Big Six this season and they’ll be confident of extending that streak when an Arsenal side lacking backbone outside of the Emirates arrive here. The Gunners are yet to record a clean sheet on the road and have silenced just four of their past 34 hosts in the Premier League. The Gunners have claimed top honours in only five of 15 away days – three of those arriving against the bottom-three. Indeed, Unai Emery’s troops have sealed victory just once away at a side starting the day higher than 16th in the standings, and if exclude the current bottom-three, their road record reads a paltry W2-D4-L6. Incredibly, since the start of last season, Arsenal have lost half of their away Premier League games, with that aforementioned disastrous defensive return deeply concerning. Aware of the above, Sokratis’ suspension, and this match arriving in the middle of two tussles with Napoli, could we really back the Gunners with confidence around the 6/5 mark? Not for me. Huddersfield and Blackpool are the only teams the visitors have beaten in 12 away days and their hopes of finishing in the Champions League spots is in serious jeopardy as four of their remaining six fixtures are outside of their Emirates comforts. There’s a strong case to be made to oppose Arsenal in that race, as well as Monday night’s match-up. I’m already keen to have Watford onside in the Double Chance market at respectable quotes but we can bolster the odds on offer to 11/8 (bet365) by throwing Both Teams To Score into the mix. I’ve already highlighted the Hornets’ ability to score against the Big Six and Arsenal’s backline woes are also well documented above. However, the Gunners have notched themselves in in all bar two of their 15 away days with BTTS banking on 13 occasions. Those fixtures featured an average of 3.60 goals per-game with 11 crossing the Over 2.5 Goals whitewash and eight beating the Over 3.5 Goals barrier. Watford have seen three or more goals in each of their last eight at home to the Big Six.